I had just purchased a terrible coffee with some not terrible chocolate covered espresso beans and was sitting outside in Black Mountain, North Carolina when a banjo started to play somewhere. It seemed to be coming from behind a tree, but I wasn’t sure so I continued to look towards where the sound was coming from. All of the sudden, I saw a jar of lowered from the tree itself. At that moment, I realized something incredible was happening. 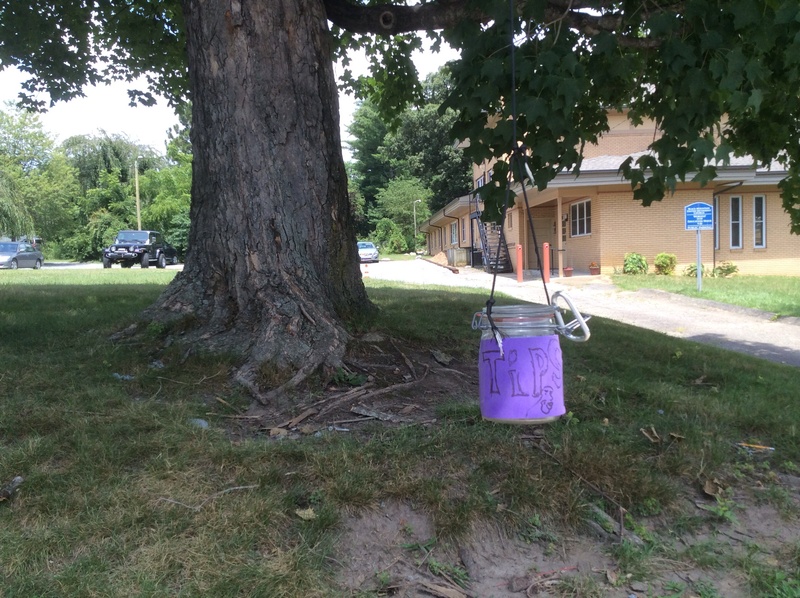 A person was sitting in the tree, playing the banjo, and had tied a tip jar to a rope and hung it from the branches. I thought to myself that I must marry this person if they are a male. Maybe I could put my phone number in the jar and then he’d call me and we’d go have a secret beer after I escaped the Baptist camp and we could talk about feminism and how much he respects women and hates the idea that women must submit to men in any way shape or form and I would admire his jawline while he talked eloquently and with good humor. Then I thought it would be better to look at the person first, make sure he was male and not too young or too old, and then proceed with falling in love. I crossed the street to give the person a tip (which is the most effort I’ve ever made to tip anyone), and then looked up in the tree. Sure enough, it was some dude. Unfortunately, he looked high school age and like he was terrified of people. That would certainly explain the hiding in the tree at least.